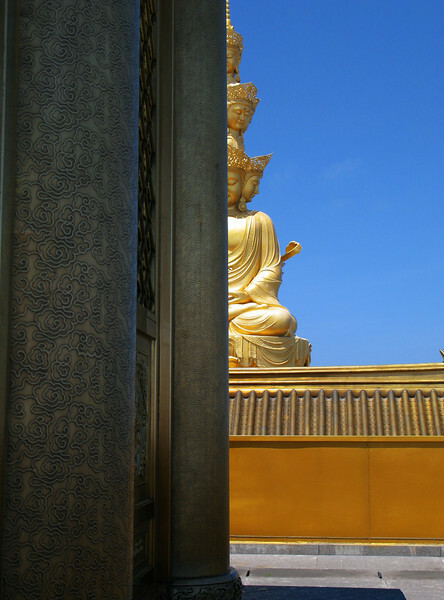 Mt Emei summit golden statue of Puxian Buddha that is wight of 660 tones. Mt. Emei, located in Suchuan province, China, stands at 3099 meters (10,167 feet), and is associated with Puxian Bodhisattva (Samantabhadra).